My path through the beginning of the project was fairly clear to me. 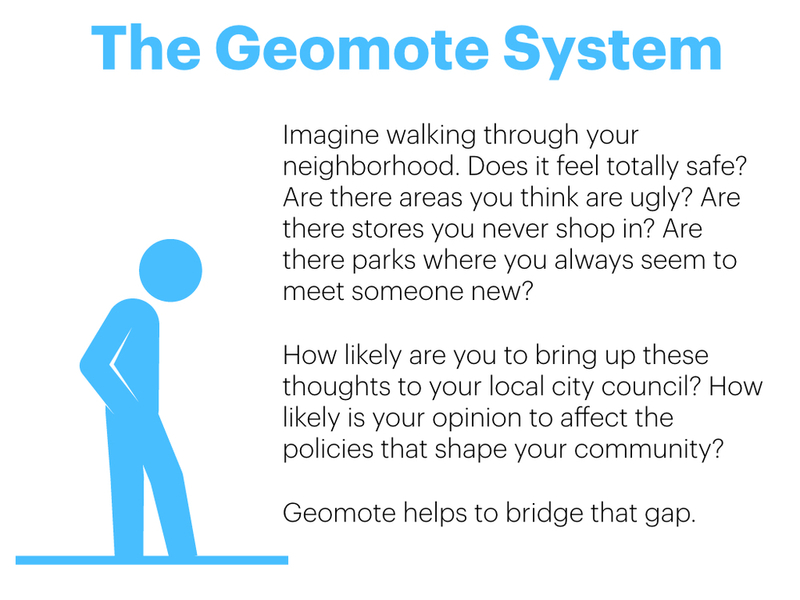 I wanted to use data and design research methods to show policy makers how they could rely on residents to help guide them in making decisions about the communities they worked for. So, a big first goal was to get in touch with people who worked in the public sector, and further my thinking based on their ideas and feedback. To aid this process, I consolidated my early thinking into a concept, or pitch deck, that I could discuss through an interview process. 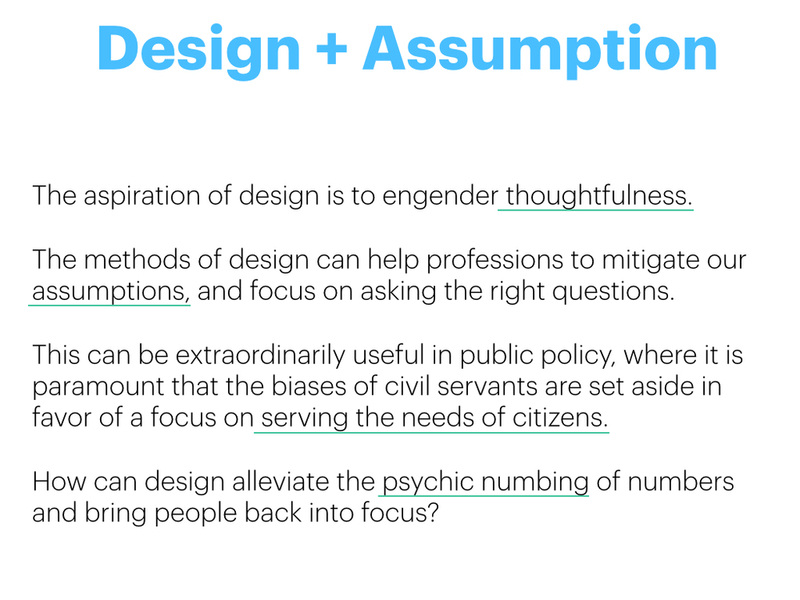 Using this early concept deck I interviewed 6 public servants or civic technologists, working in various aspects of government. I synthesized these interviews and pulled out high level concepts, including overall structure of the methods, concerns to address, features to consider, and aspects of the ecosystem to be mindful of. How will I be able to tell what people are reacting to? Is there a government service that is already mostly a positive experience? What are some small pieces that can be improved through this kind of data? should I categorize the findings? How will I distill insight? 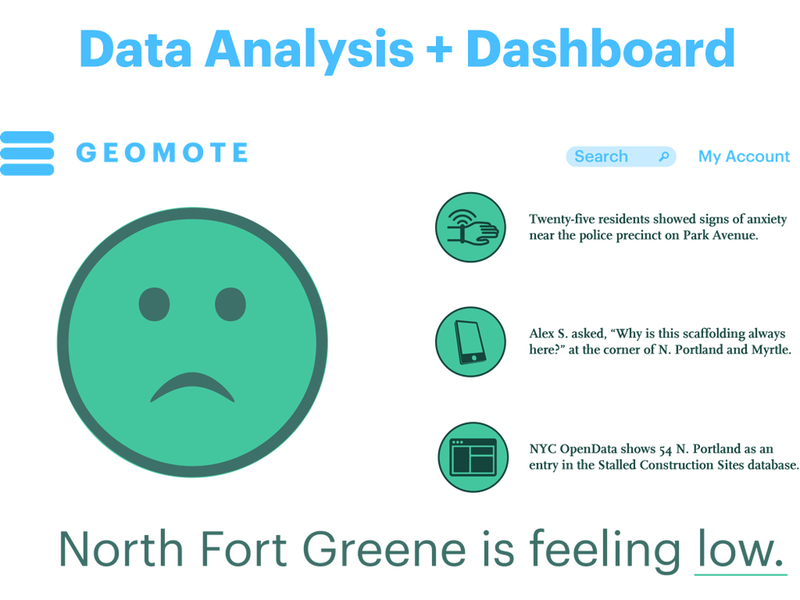 If I do narrow into NYCHA—what are the attributes that affect emotional well-being? What are the baseline stressors to consider in a community? Think about the primary piece of data you want to convey—use that to help structure the visualization. Who owns the data I’m collecting? What is the transparency around the output? Participatory Budgeting practices need more expertise in the room.